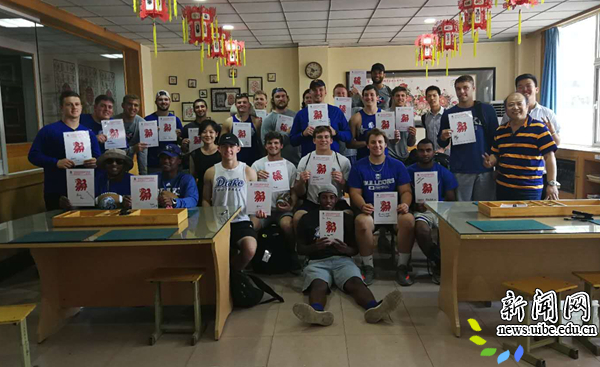 A delegation of 82 football team members and teachers from America's Drake University visited the University of International Business and Economics (UIBE) from May 23 to June 4, 2018, reported UIBE's official website. As one of the UIBE's friendly partners, Drake University has carried out all-round and deep cooperation with UIBE in terms of talents training, scientific research, and student and staff exchanges. Founded in 1951, UIBE is a multi-disciplinary and national key university with economics, management, law, literature and science as its core academic areas of expertise. At present, UIBE consists of 15 academic schools, a Graduate School, a Department of Physical Education and a Department of Culture and Art, offering over 1405 undergraduate courses, 875 postgraduate courses, and 109 doctoral courses. Currently, it has established partnerships with over 160 overseas universities and international organizations.